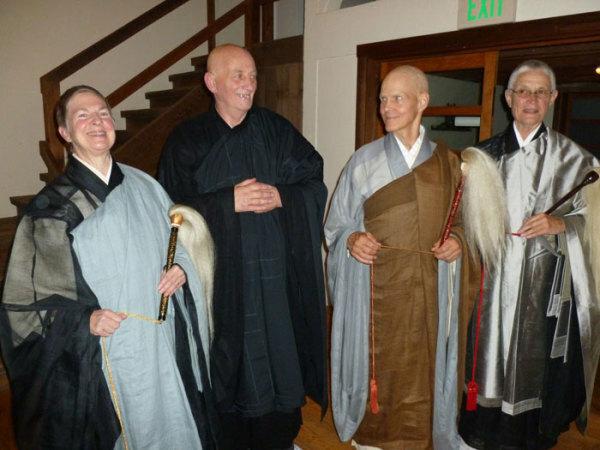 On November 5, Senior Dharma Teacher Tenshin Reb Anderson ordained his student Myoyu Malvern Costelloe at Green Dragon Temple in a shukke tokudo (priest ordination ceremony). Abbesses Eijun Linda Cutts and Furyu Schroeder were also preceptors for the ceremony. Congratulations, Myoyu!